The cost of water and water-related energy rise significantly nearly every single year. For building owners and property managers, excessive water and energy costs can cost a fortune in avoidable waste. There are many ways to cut down on water usage. For landlords or property owners who pay the water bills, some of these options will make more sense than others. There is always a tendency to spend money and time on the cheapest fixes. Most of the time, these alone will not result in significant savings. 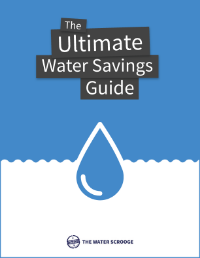 In this eBook, we list the most common ways to reduce water wastage along with the pros and cons of each. That way you can have a better idea of what might be the best option to save on your water bills. The incredible statistics of how much wasted water costs. Top 3 sources of water costs that you can control. Nine ways you can drastically cut on your water usage and water-related energy costs. Case studies of real estate companies saving hundreds to millions of dollars every year on water savings. The ebook is full of savings - with ready-to-implement strategies at your fingertips.